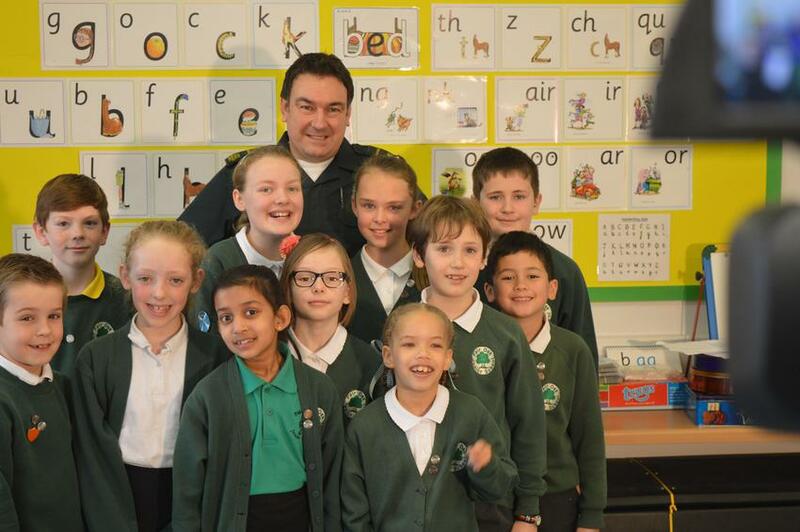 On Monday the 9th of March, eleven pupils from Fair Oak Junior School were selected to take part in filming an educational DVD to be shown to all schools in Hampshire, Berkshire, Buckinghamshire and Oxfordshire with the South Central Ambulance Service. 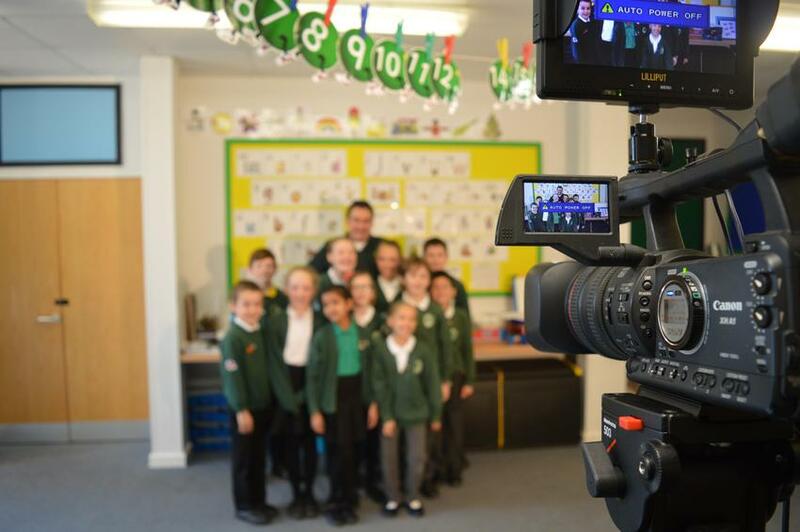 When the Wednesday of that week came round, the eleven pupils were buzzing with excitement at the thought of being filmed for a nation-wide DVD. It was an early start for our young film stars - 09.15 am! We met up in the learning support room ready to film. The whole school was wallpapered with posters saying ‘Shhh! Filming in progress!’ There was a team of Paramedics on site and a cameraman, producer and a mascot. We were each filmed asking the Paramedics questions about the ambulance service. It took lots of re-takes to make one question perfect! There was a large light shining on our faces as we spoke into the big camera. The pressure was slightly overwhelming! After a lot of hard work, phase 1 was complete! The next part of our clip was outside in the fresh air-we were filming near a Simbulance (an ambulance used for training and education). We had some fun playing with the microphone and camera system and turning on the sirens. Some of us were then filmed asking some questions about the ambulance service inside of the ambulance. 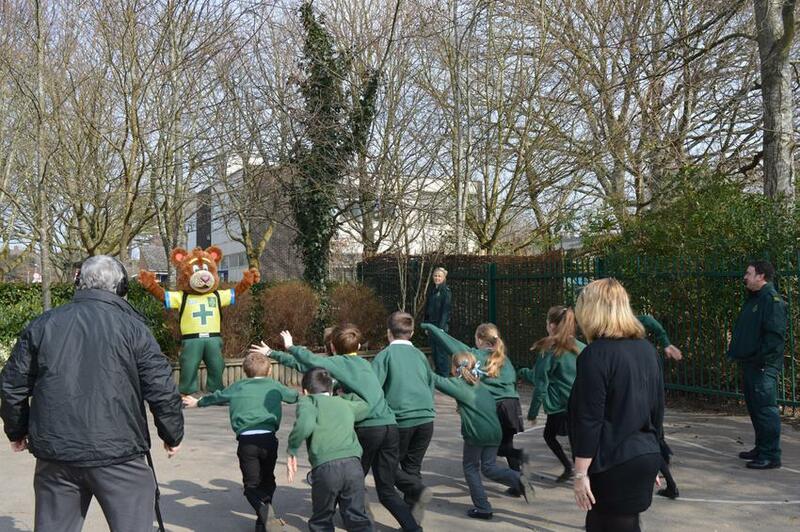 Both scenes were good fun to film but everyone’s favourite part was being filmed giving the mascot (999 Ted) a bear hug!